Dubai International (DXB) is lining up extra staff and an exciting array of activities, promotions and entertainment as part of its preparations for the Eid holiday rush.With Eid coinciding with schools across the UAE closing for the summer, Dubai Airports is anticipating heightened traffic during the week with over 1.9 million passengers expected to pass through DXB. The busiest day for departures will be Friday, June 23 with over 76,000 departing passengers while June 30 will be the busiest day for total traffic (departing, arriving and connecting) with over 262,000 customers. 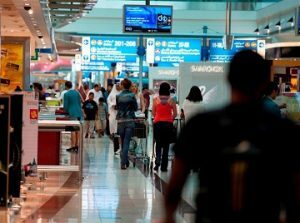 As is the case during each peak traffic season, Dubai Airports, in collaboration with airlines and other partners at DXB, is taking a number of steps to ensure passenger volumes don’t affect service.